Dionysius was born into a family of painters and goldsmiths. He was apprenticed from a young age. He completed many great works in his long life time and is considered one of the greatest Russian icon painter of all time. Icons are different than paintings and do not represent what a artist sees. 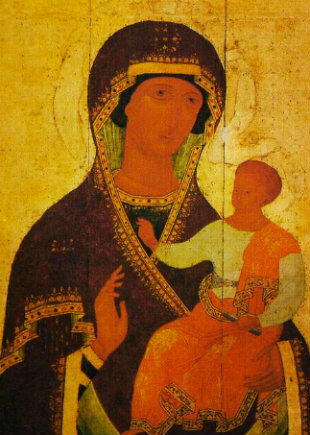 There is certain rigid compositional formula that an Icon painter must follow. Icons play a part in the Orthodox Church ritual. Icons have been known to cure the sick, answer prayers and bring about miracles. Require more information about Dionysius in Art History? Type your query in art into the google search box below and poke around every nook and cranny of the known universe for information this subject.